I can't believe it is that time of year already! Time to bring out hearts in pink and red. I'm still putting away Christmas! Seriously. While this elusive thing called time is whizzing past me... 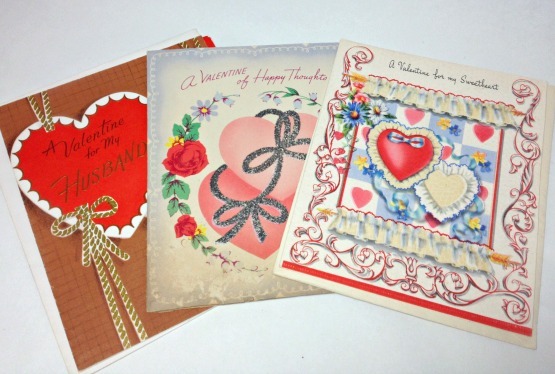 I am taking a quick look at my shops to see what I already have in place for Valentine's Day. I'm also looking for things to decorate a tablescape that I have started. Note the word, STARTED. Oh yes. These will do nicely. don't sell, I get to use them! 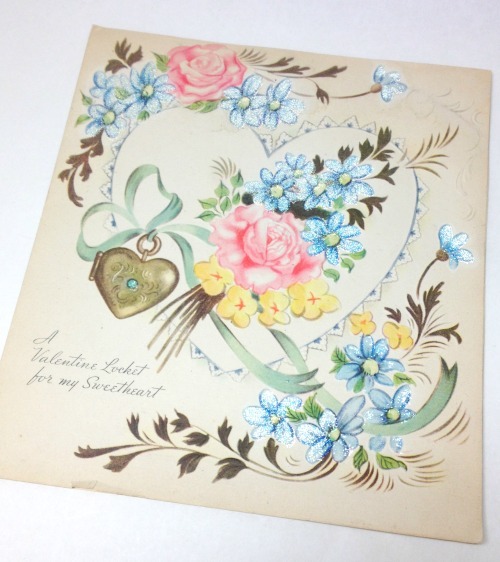 This one is unique as it has a sweet "locket"
and a poem on the inside about it. 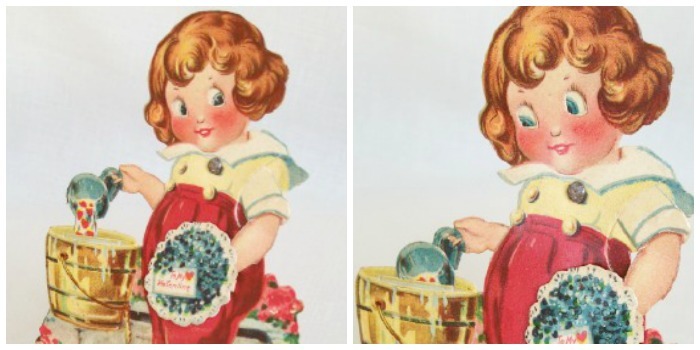 Vintage and still unused, in my shop here. Now this one above.... this style is my favorite. 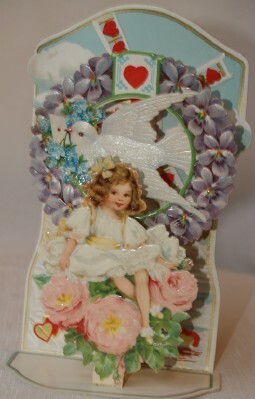 part of a centerpiece display. 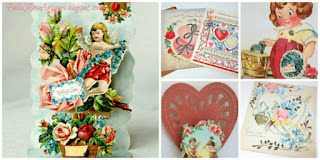 Mechanical Valentines are also cool! by swinging the arm a little. The little kid in you wants to try it! AND it is was made in Germany. For now, enjoy the day! Oh how dreamy Jillian! 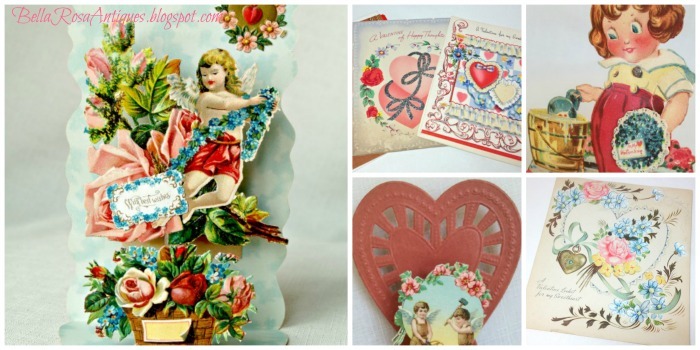 Such pretty vintage and antique Valentine's. 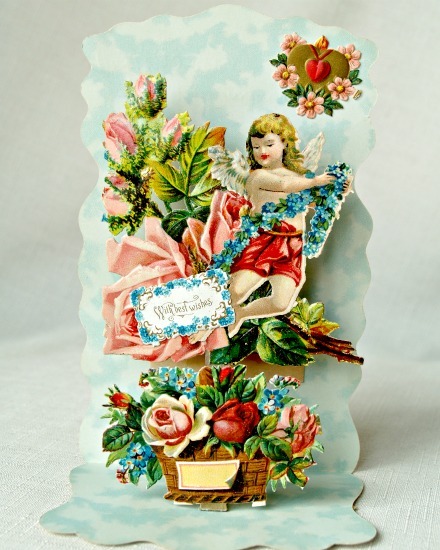 Just love the vintage Valentines!! 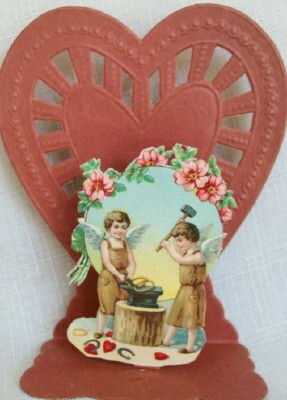 I am still taking down Christmas but hope to decorate for Valentine's Day soon!! 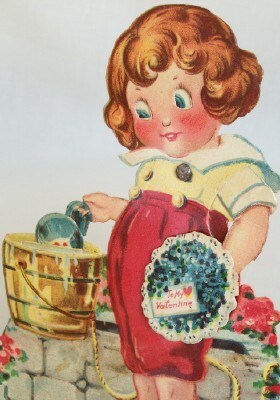 Very sweet Valentines! Funny, I never see anything like them while out thrifting. Looking forward to seeing your tablescape. LOVE your Valentine's Jill--posted them on fb. Thanks for bringing them to Vintage Charm!